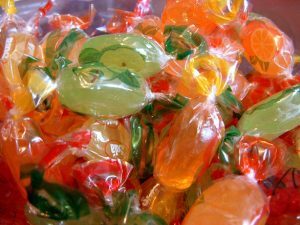 In what is believed to be a first-of-its-kind lawsuit, the sons of a woman killed by her husband, allegedly after he consumed marijuana-laced taffy, are suing the maker of that candy, as well as the retailer who sold it to the man. The victim’s sons are alleging wrongful death. Specifically, the sons allege the clerk at the store failed to warn the husband/ buyer of the fact that if he consumed too much, it could trigger paranoia, psychosis and hallucinations. It’s going to be something of an uphill battle for the plaintiffs, though, because they are going to be tasked with proving marijuana was the cause of this violent episode, even though violence is almost never associated with marijuana use. The 44-year-old victim died in April 2014 after her husband shot her in the head. This was after he consumed several bites of an orange ginger taffy that contained marijuana. He’d reportedly purchased the candy at a retailer on South Colorado Boulevard in Denver. After being informed that the buyer was not an experienced user, the store clerk reportedly did tell him not to take too large of a dose, but it’s not exactly clear if he defined how much was too much. The whole taffy candy contained 100 milligrams of THC. State regulators consider this 10 times the normal dosage. The man didn’t eat the entire candy, but it’s not clear how much he consumed. Drug tests performed after the murder indicated he had a THC concentration of 2.3 nanograms per milliliter, which is less than half of what is considered by lawmakers in that state to constitute impairment by a driver. Still, the drug isn’t processed in the same way as, say, alcohol, so it’s not clear whether that is in fact an accurate determination of his level of impairment, particularly given that he was not a regular user. Of course, while too much marijuana for an inexperienced user can amount to an unpleasant time, it rarely results in homicide. Still, plaintiffs’ attorneys are arguing that the manufacturers should have listed the THC content of each product directly on the package. Since this incident, products are limited to 100-milligrams per product and each 10-milligram dose has to be clearly marked and separately wrapped. Those packaging rules still do not require any type of warning about the potential psychiatric side effects, which victim’s family members say should be mandated. There is a warning regarding the time between the consumption of marijuana edibles and realization of the full intoxicating effects. One portion of this wrongful death lawsuit alleges the man consumed too much of the candy because he didn’t understand how long the delay could be. Plaintiffs say this mess has resulted in the loss of both their parents, essentially. The youngest son, just 7-years-old when it all happened, watched his mother die. The siblings are now 9, 13 and 15, and are being raised by their mother’s parents and sister. Their father is awaiting trial on charges of first-degree murder. But it’s unclear whether the “marijuana made me do it” assertion is going to work in either the criminal or civil arena. In the civil case, plaintiffs are going to need to show that warnings would have made a difference. As for the criminal case, Colorado law does not allow defendants to assert insanity on the basis of voluntary consumption of alcohol or any other psychoactive substance.